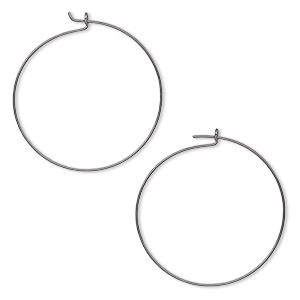 Hoop, gunmetal-plated brass, 25mm round hoop, 24 gauge. Sold per pkg of 50 pairs. Item Number: H20-9502FX Have a question about this item? 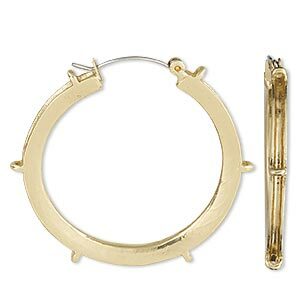 These lightweight hoop components make it easy to create custom wine glass charms. Gunmetal plating is tarnish resistant with a long-lasting shine. String beads, charms and other jewelry-making supplies on the wire, then bend a right angle into the wire about 1/4 inch from the end. Close by putting the bent wire through the loop at the other end. 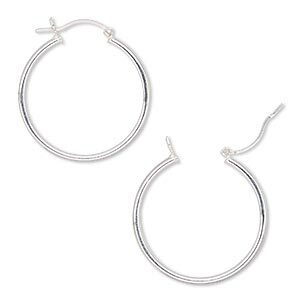 Hoop, gunmetal-plated brass, 25mm round hoop, 24 gauge. Sold per pkg of 250 pairs. 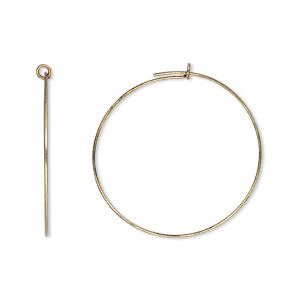 Hoop, antique gold-plated brass, 25mm round hoop, 24 gauge. Sold per pkg of 25 pairs. 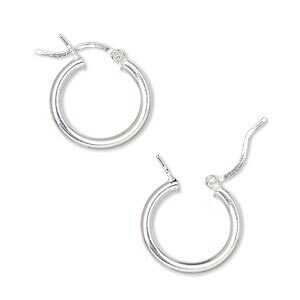 Earring, sterling silver-filled, 25mm round hoop with latch-back closure. Sold per pair. 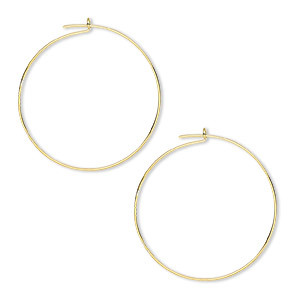 Earring, gold-plated brass, 40mm round hoop with 2mm channel and 6 closed loops with latch-back closure. Sold per pair. 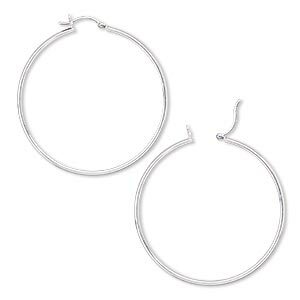 Earring, silver-plated brass, 40mm round hoop with 2mm channel and 6 closed loops with latch-back closure. Sold per pair. 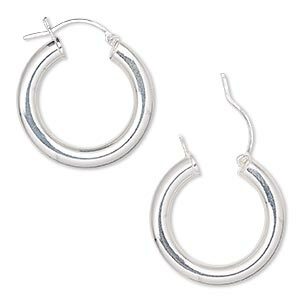 Earring, sterling silver-filled, 30mm round hoop with latch-back closure. Sold per pair. 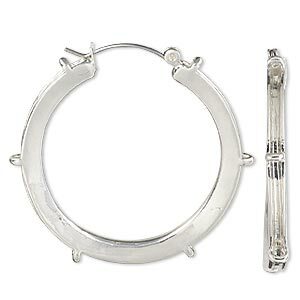 Earring, sterling silver-filled, 15mm round hoop with latch-back closure. Sold per pair. 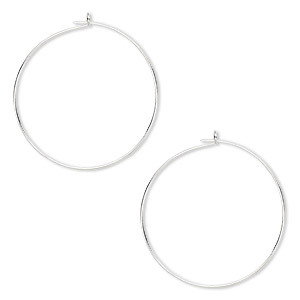 Earring, sterling silver-filled, 50mm round hoop with latch-back closure. Sold per pair.